In addition to kayaking, I’ve been an avid (rabid?) motorcyclist since 99 or so, including spending a year and a half with just a motorcycle as my daily driver and no car (wife had a Jeep for family outings). This page is a collection of posts/articles that are motorcycling related. 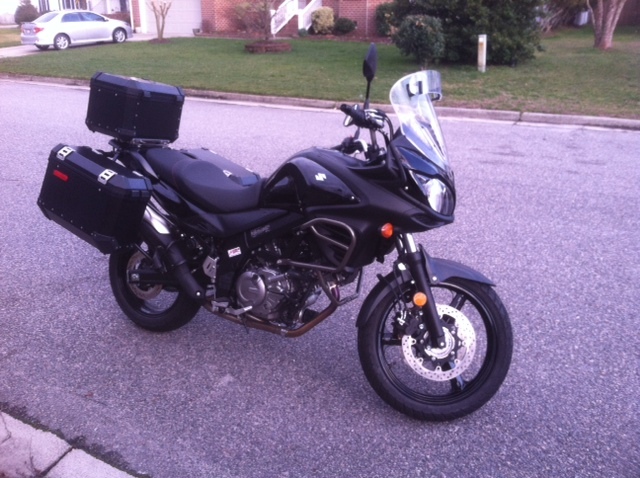 I just picked up (March ’13) a 2012 Suzuki V-Strom 650 Adventure after selling the VFR. Update – November 2017 – the Vstrom is for sale.